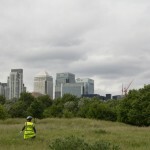 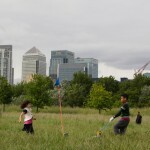 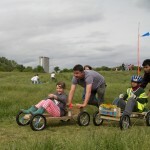 On Sunday, the fields of Mudchute were taken over by busy teams of people, as they furiously hammered and sawed against the clock. 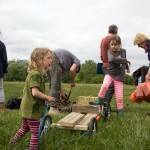 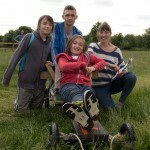 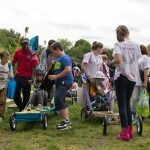 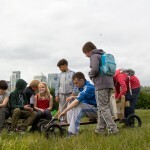 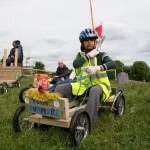 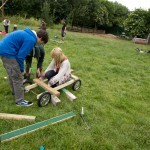 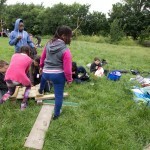 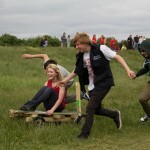 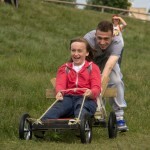 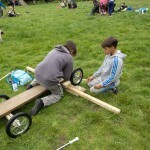 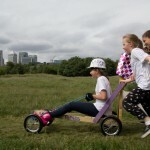 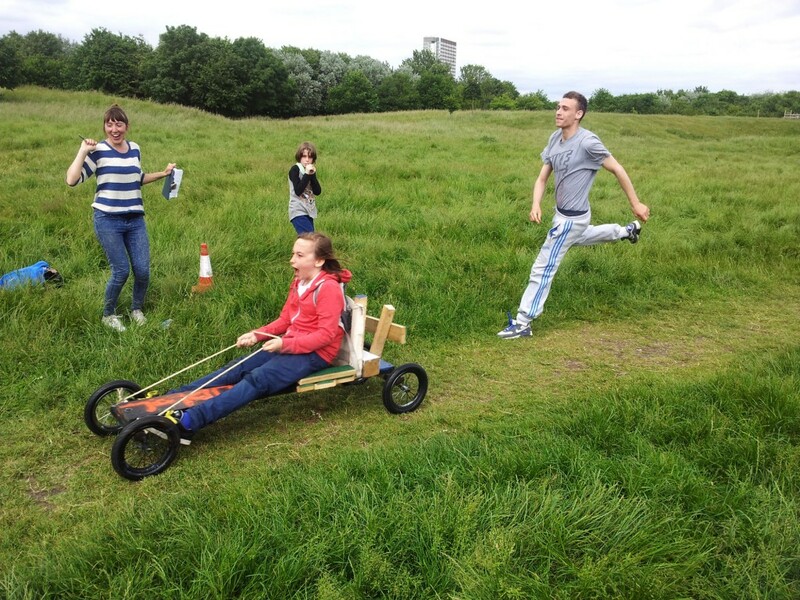 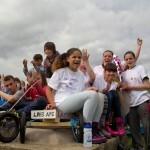 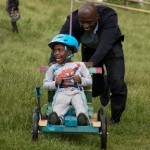 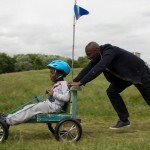 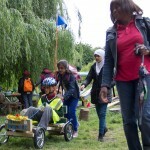 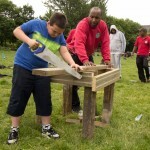 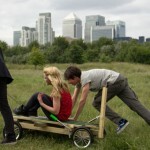 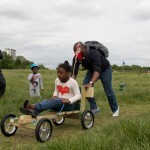 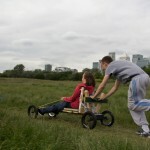 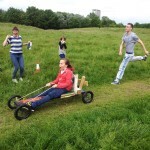 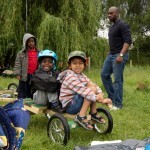 It was of course the Go-Kart Grand Prix, organised in collaboration with London Play. 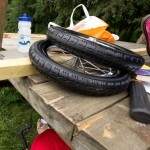 ‘Expect the worst but prepare for the best’ was the motto of the day as tarpaulins had been strung in the trees for shelter against the rain storms, but a gentle shower during the four hour build only cooled the young carpenters down. 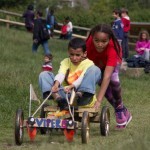 The race heats started just as the sun came out and visitors to the farm eagerly lined the racetrack to cheer the young people on. 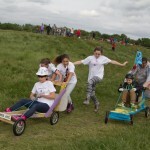 The imagination that went into each machine gave the day a distinct similarity to Wacky Races, but luckily no dastardly foul play took place! 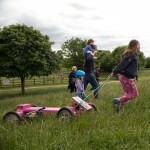 I think everyone left feeling a winner as teams were seen slinking out of the farm, go-kart in tow and cheeks rosy from a day running up and down hills. 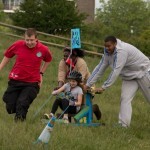 Without bragging too much you should all know that Team Mudchute came first with the Mudchute Lol Machine! 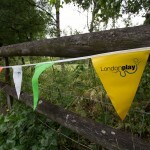 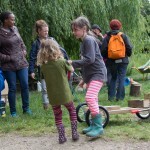 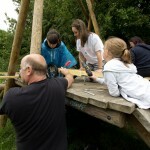 A huge thank you to London Play and all the other play organisations and families who took part. 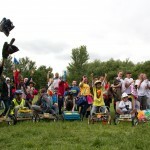 See you for the Go-Kart Grand Prix 2014!!!! 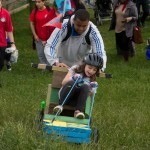 You can find the full set of photos from the day on flickr here.